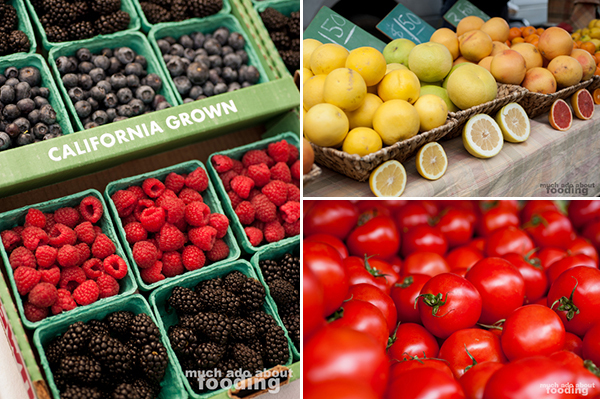 Founded on May 5, 1991, the Hollywood Farmers' Market is one of the oldest in California and by attrition, one of the most bountiful in farmers and producers. 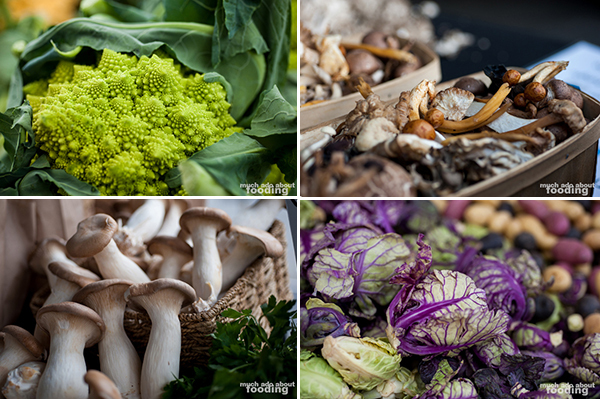 We ventured to the market in search of unique produce and mushrooms and came away with more than we thought we would purchase. 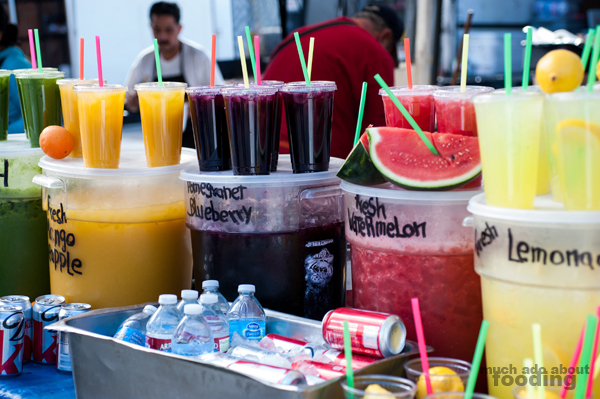 This outdoor street market tends to every grocery need from fruits and vegetables to james and jellies to meat and fish to even prepared foods and nifty crafts. 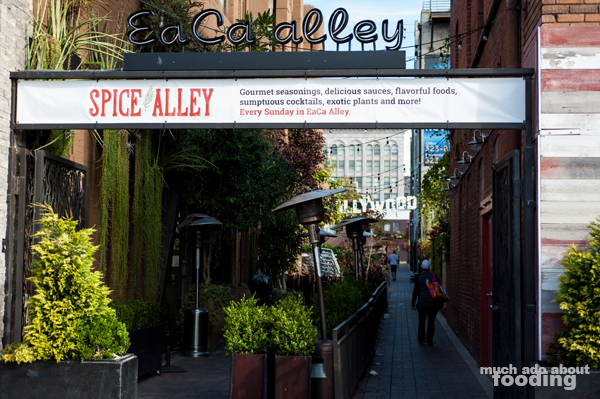 When it was first founded, it easily became a hit for being the perfect congregation spot for farmers in the area to those further north and south that needed a central location to share their wares - Los Angeles was perfect for that. We entered from one end but realized that it branched out into four directions with long-stretching arms, and it is no surprise that they claim to have more than 160 specialists who are farmers, producers, artisans, and so forth. 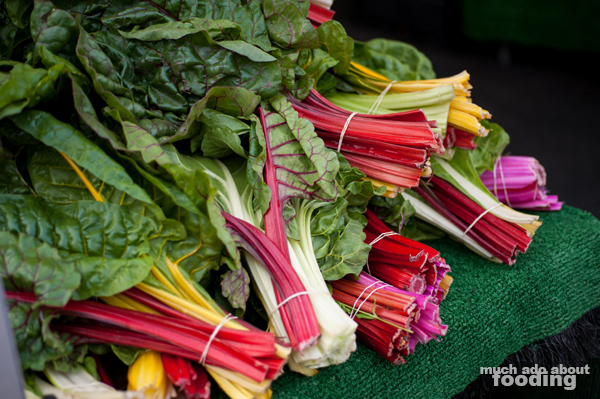 The local community love the market as do chefs, and for most, it is their weekly food source instead of big box grocery retailers. We arrived bright and early in the morning when some of the vendors were still setting up. Because we were there close to the opening of the market, there was not much foot traffic yet nor was parking hard to find. The sheer amount of vendors, however, was almost overwhelming and at the end of it all, we were surprised to see that we spent almost four hours wandering up and down the aisles. Never before have I seen such a wide rainbow of colors in produce; it seemed as if every produce stand had their fruits and vegetables in a minimum of three colors each. 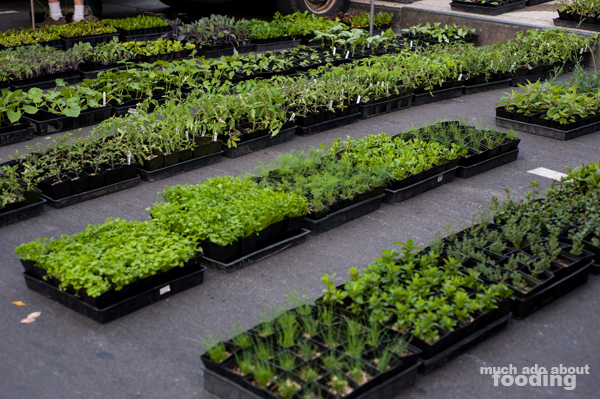 There were also several nurseries that had starter plants and even some hard to find ones that one could take away with them from the market. The artisan products were my folly as I dumped the majority of my wallet on their products. We have such a weakness to people who sell dips, sauces, and marinades because not only are they just about the best salesmen around but the products are almost always fantastic. 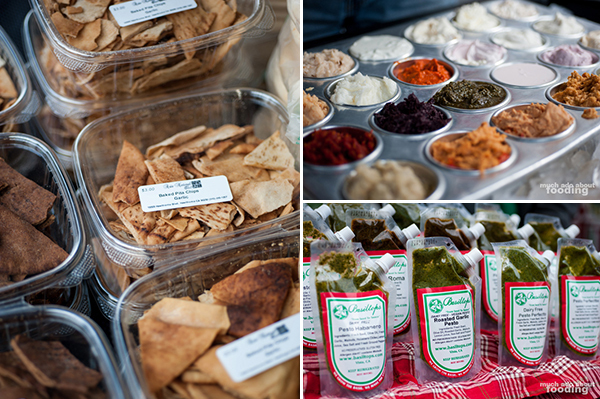 The dip guy at the Hollywood Farmers' Market had a whole metal tasting tray complete with sheep's milk, goat milk yogurt, garlic spreads, and so forth. Down the other end was the Spice Alley and a wonderful booth with the most unique and complex blends of spices as well as teas. It felt like being in a specialty store. 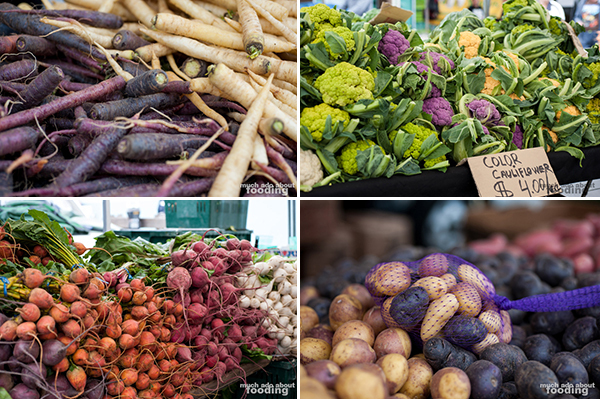 If the vast number of fruits and vegetables was not enough in itself, the variety is stunning at the Hollywood Farmers' Market. Produce that you would not have thought to find anywhere in retail stores are typically available here and for a fair price as well. Do you need four different colors of carrots? Here's six to choose from. Looking for wild mushrooms? 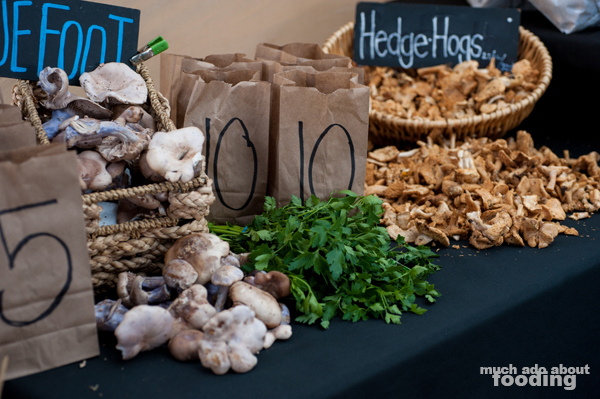 La Funghe has you covered with anything from chanterelles to bluefoots to even lion's mane. Not only are the unique products at these booths gorgeous, so is the regular stuff. Fresh berries tempted the child out of me - I remember stuffing myself with blueberries and strawberries all the time. The brightest, freshest tomatoes gleamed in the sunlight, shining with potential and smelling of health. Purple-veined brussel sprouts got some curious head tilts but otherwise were as beautiful and healthy as the other vegetables around them. It was refreshing to see such variety and in bountiful amounts as well. But wait! It's not all about fruits and vegetables! 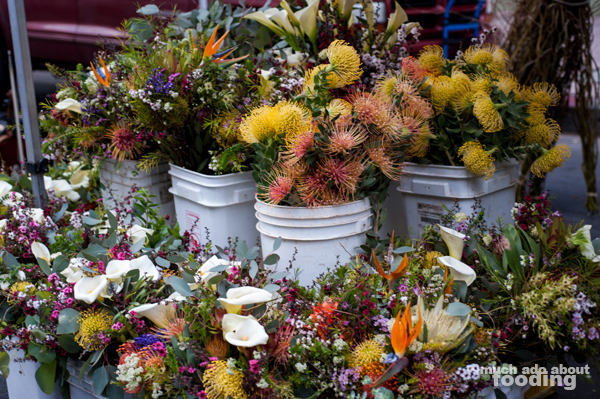 Florists and gardeners were aplenty, even one that seemed to specialize in off-the-beaten-path bouquets made from desert flowers. 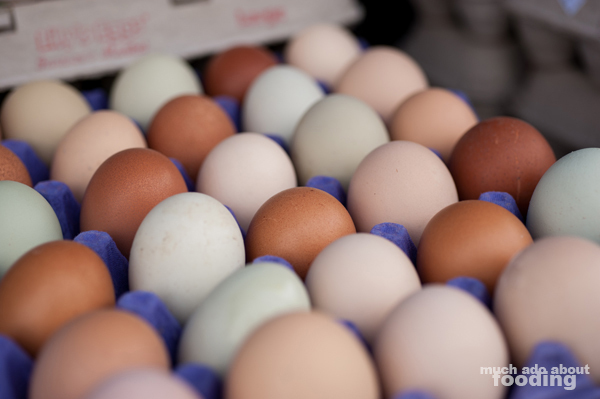 There were seafood, meat, and egg vendors showcasing their humanely raised and healthy stock including pallets of fresh eggs waiting to be devoured. 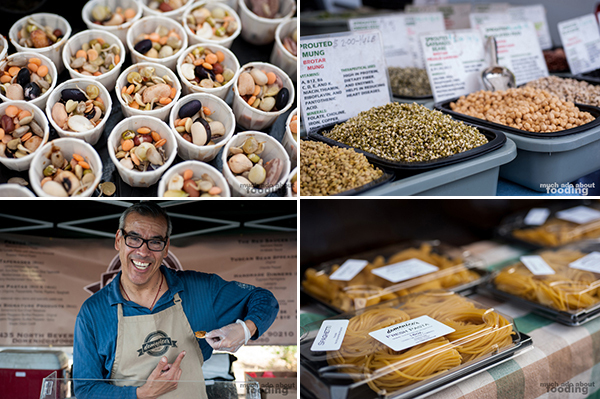 We met Bill the sprouts guy of Jazzy Sprouts who wholeheartedly believed in and shared with us the philosophy of eating sprouts; they give people loads of energy in the smallest amounts and after we consumed a few handfuls of our own after the Farmers' Market, we realized it was true. Who needs espresso shots when you've got sprouts? We chatted with Victor over at Domencio's Pasta who was so enthusiastic about the fresh pasta and how he likes to prepare it that we just had to leave with a box of spinach pappardelle. This is the type of farmers' market community that people romanticize in stories, it seemed, and we knew it wasn't just the Hollywood spell. Many regulars of the market navigated themselves around the aisles as if on auto-pilot, saying hi to all of their most-frequented farmers. I loved the community and how everyone knew everyone. The prepared food area was also popular as delicious street fare was made. 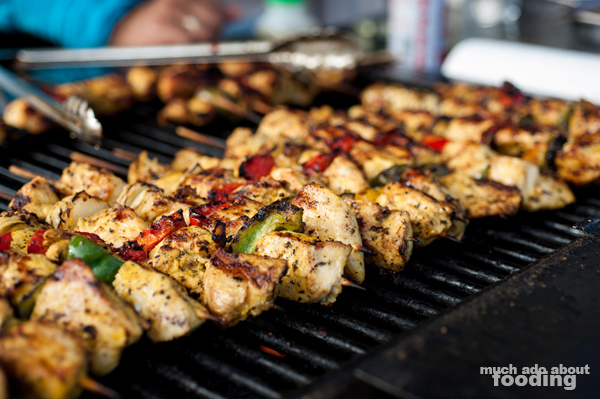 Your typical kabobs and rice plates could be found but so could gluten-free, vegan food highly specialized to be safe for most common allergens. Entertainment was scattered throughout to ensure that at any given point in time, you could hear a strain of live music during your visit. 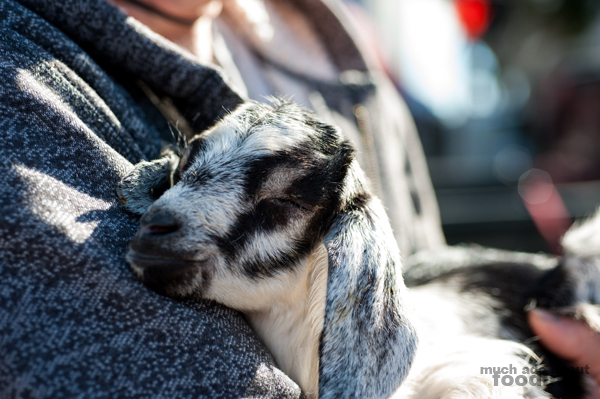 There were plenty of activities for children to do including balloon artists at the corners and face painters; Soledad farm had their goat's cheese and other products but also had adorable goats to be met, ones that were just a few weeks old and barely able to keep their eyes open for long before longing to snuggle against their holder. In the midst of all of this supposed fun and games, we also realized that everyone was an expert. The jocular hellos and jests from a nursery owner turned into serious talk once we asked Farmer Jimmy more specific questions and right away, he knew all of the answers. While we wandered in his appointed lot, we overheard plenty of walkers-by greeting him as an old friend and asking scattered plant questions here and there. 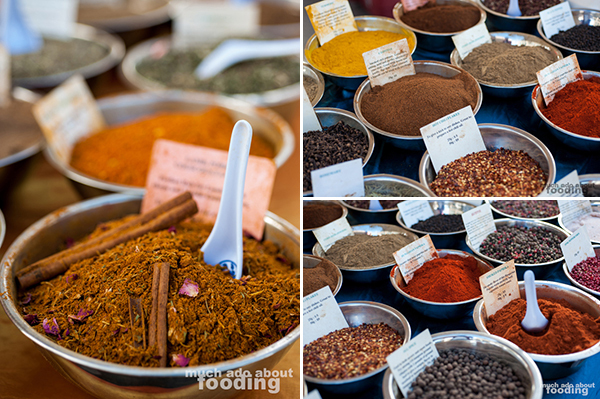 It was like that with most of the vendors - they were dedicated and strongly knowledgeable about all that they did. Our haul from the Hollywood Farmers' Market was a squeeze on the wallet but only because we splurged on everything. How could we not if we were able to just make all these connections in just a short amount of time? 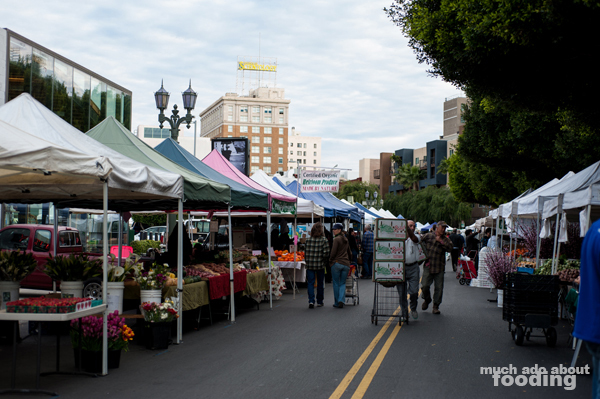 It is truly a community-oriented, well-loved farmers' market, and it is a pity we do not live in the area. Alas, we must come back, especially if Farmer Jimmy has the plants we want! 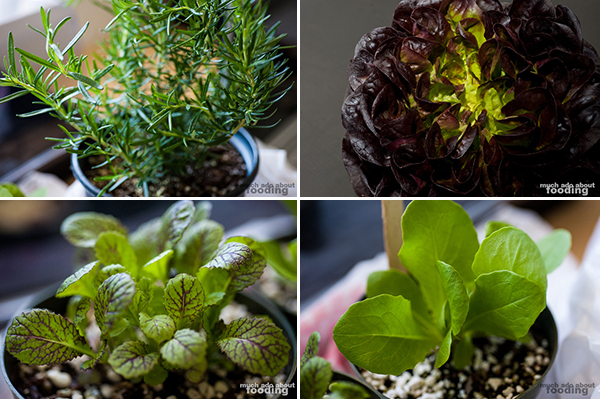 In terms of the re-growables, we came away with some rosemary, dragon's tongue arugula, black Bibb lettuce, and butter lettuce. Yum. 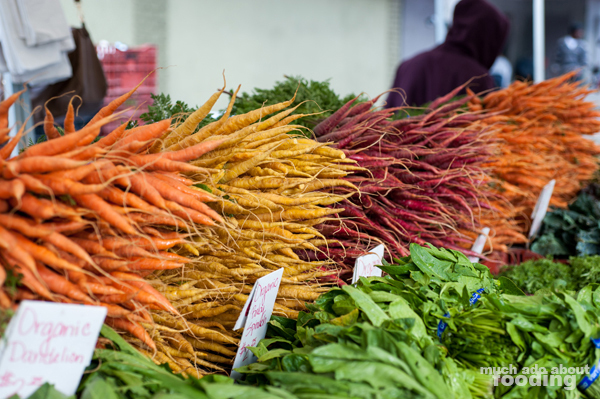 If you're planning on visiting, the Hollywood Farmers’ Market is held every Sunday, rain or shine, from 8am-1pm and is located at the corner of Hollywood Blvd. and Ivar Street in the heart of Hollywood.